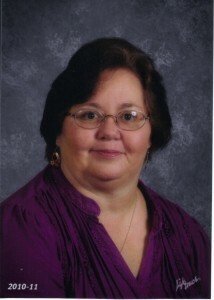 I am a National Board Certified, Language Arts, middle school teacher. I am certified to teach grades 1 – 6 any subject, Language Arts, Reading, and ESOL through 12th grade. I am married and live in Florida with my wonderful husband Brad. My mother joined us about eight years ago. I have a daughter, Angelina, a son Christopher, and a step-daughter Evelyn. They have provided us with nine wonderful grandchildren. I make sure that books are number one in their homes. In addition to reading books, I have recently started down the path of writing books. I have one published book, “Steps to Courage”. Go to “My Book” page and check it out. It is obvious that books are my life. I’ve always written to relieve stress. After 9/11 I had a story idea in the back of my mind. For six years I told my husband about this book, adding details to each telling. Two events led me to take that final step. The first event happened in my reading class. I had given another writing assignment and had modeled the process with my students. One of them looked at me and said, “you’re always telling us to read and write. So, why don’t you write books you know we’ll like and put them on your shelves. I’ll read them.” The second event happened that night when I got home from work. After dinner my husband and I were enjoying a cup of coffee in our yard swing. I told him what my student had said and once again began talking about my story idea. He went inside to get us another cup of coffee and returned with a notepad. He tossed it to me and said, “Don’t keep telling me that one day you’re going to write this book. Just write it!” So I did. So, pick up a book and enjoy life along with me. When I am not doing something bookish I actually paint with acrylics, quilt and love to take walks along the beach.